In this week’s issue of NME, on shelves June 16, we sit down with The Strokes in their first comeback interview. We also take you into their secret London show under the moniker “Venison” and look at their triumphant festival return. 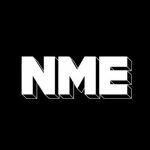 We share with you the ten tracks the NME staff can’t stop listening to this week. …and report back from Arcade Fire’s live gig in Canada. Plus we chat with The Coral about their past and why their best is still to come. And in this week’s Radar section, we introduce you to Florida’s Dominique Young Unique.